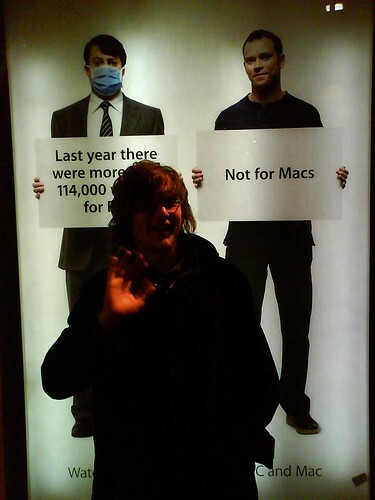 Apple appear to moving its advertising plan for the UK up a gear, after they released a set of Get A Mac Ads for the UK, starring David Mitchell and Robert Webb that were in Peep Show and the recent most excellent That Mitchell and Webb Look. The adverts seem tamer than the American versions, with Webb’s style seeming more not to care than Long’s boastfulness; a quality which I think the British public will appreciate more. Most of the ads are direct translations, with only a few words changed (such as one of my most used words, humdinger…), but Webb’s delivery is much more likeable than Long’s. I think adding more sarcasm to the mix would really appeal to us Brits, and make the two comedians appear more natural than they do in the current ads. 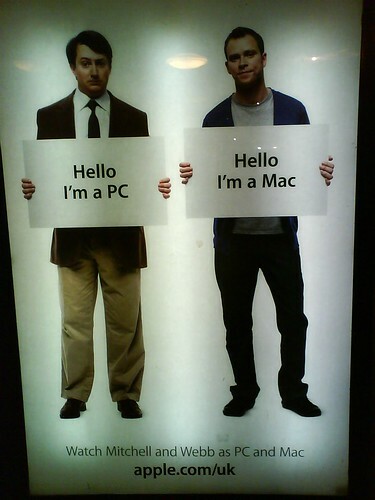 Oddly a comparison between Macs and PCs was made in a sketch on their show on radio, That Mitchell and Webb Sound. David’s character had downloaded the Internet and needed to email it back to AOL. When AOL replied saying they couldn’t read it, David claimed that “it’s because [he] emailed it from a Mac and they’re using a PC”. Although it was never mentioned where the blame lay. 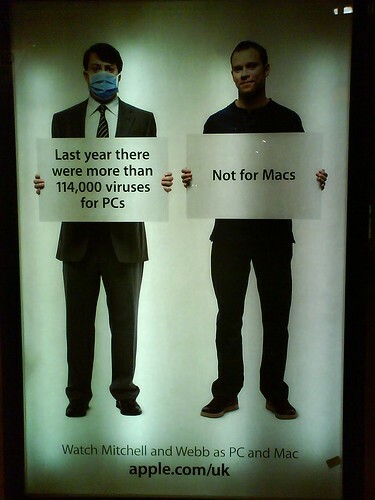 What’s a little baffling about the poster ads is that they say “Watch Mitchell and Webb as Mac and PC”, suggesting these are perhaps more an advert for the video ads than they are for Apple’s own products! Finally, I gather a few people will be traveling from Steff’s blog, which I appreciate, and as some thanks I’ll put a nice embarrassing picture of him with the British PC and Mac.